A new academy of excellence in Nottingham is the latest social work teaching partnership to get underway as it looks to continue to “raise the quality” of trainees and teaching. The D2N2 Teaching Partnership’s Social Work Academy will bring together six regional social work employers and Nottingham’s two universities. Nottinghamshire County Council, Nottingham City Council, Derbyshire County Council, Derby City Council, Nottinghamshire Healthcare NHS Foundation Trust and Framework will work closely with Nottingham Trent University and the University of Nottingham to train social workers to government-specified standards. Service user, carer educator and advocacy group Making Waves and advocacy and participation service SEA (Services for Empowerment and Advocacy) are also involved in the partnership, which is being funded by the Department for Education and Department of Health. Teaching partnerships are being rolled out nationally to help cement important collaborations between universities and councils to ensure a steady stream of high calibre social workers to the frontline, working with children, families and vulnerable adults. The partnership also aims to provide appropriate training placements and high quality practice-focussed tuition as well as shadowing opportunities for social work academics to enhance their knowledge of frontline practice. Steve Edwards, service director for Children’s Social Care at Nottinghamshire County Council and Joint Chairman of the D2N2 Teaching Partnership Board, said: “The teaching partnership is an outstanding opportunity for the four Councils, Framework and Nottinghamshire Healthcare, to work together with two of the best universities in the country to build on the excellent social work training and development we already offer. The partnership, which will run until March 2018, will establish a more joined-up approach to social work training so that social workers are robustly equipped to deliver a quality service to meet the needs of adults and children across the region. 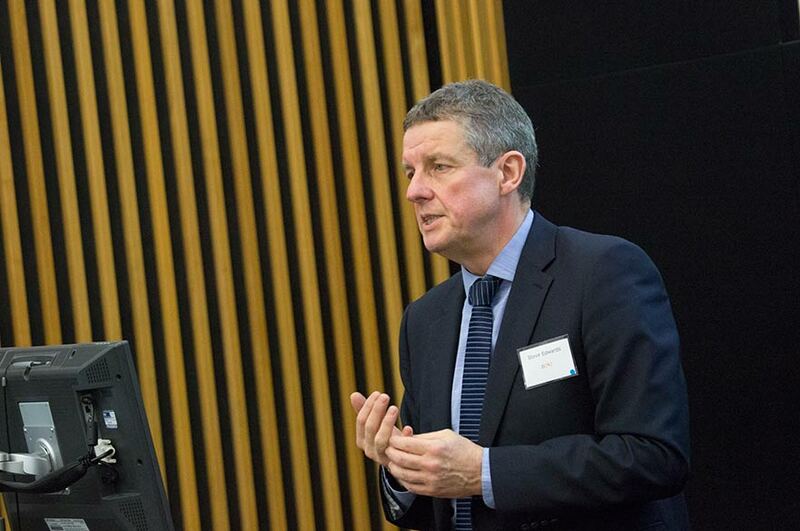 The launch event was held at Nottingham Trent University on January 26 and included a guest lecture from Ray Jones, Professor of Social Work at Kingston University and St George’s, University of London. Christopher Moore, Head of Social Work and Health at Nottingham Trent University, said: “This move is a recognition of our existing quality and strengths, as well as an opportunity to drive even higher standards of graduates qualifying as social workers. We are also extending our commitment to ensuring those currently working as social workers are able to develop their expertise and skills even further. “We want the best developed, educated, trained and skilled social workers who are able to support and protect children, young people, families and vulnerable adults. These are people who live and often strive and struggle in the midst of our communities. Social work and social services are often at the front line addressing these multiple challenges, protecting individuals and communities. Professor Harry Ferguson, Professor of Social Work at The University of Nottingham, added: "The University of Nottingham is proud to be part of this Teaching Partnership which will further develop our work in ensuring the highest possible quality social work service is delivered to vulnerable adults, children and families."